Our home is the only place where we can remain comfortable in our skin and be the real us without any regrets. Thus, it needs to be built in a way that we love coming back home rather than finding ways to get away from it. You are not always lucky to have found ways for designing your dream home, but with simple efforts and a bit of strong conscience, it is achievable easily. But first, we must know what actually a dream home means! Is it a house with a larger area? Or is it a home where you find all the luxuries? Actually, a dream home is nothing sort of these things until it is built in a way which is appealing to you in every aspect. The home can be smaller in size but as long as it is built in a way that you like it, the home can be termed as a “dream home”. Likewise, the interiors might not always be expensive and gorgeous, the simpler ones can be way better when you place them wisely on the relevant corners. 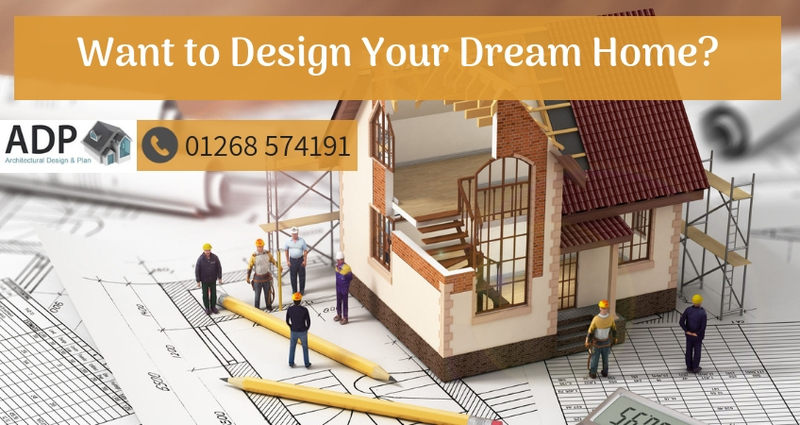 So, it requires the generous understanding of the fact of how you want your dream home to be designed and what are the most common aspects that fulfil the desire of making the designing of a house “a dreamy affair”. The first step towards having a dream home is to do the architecture well. If the Architectural Design Plans fail at the very beginning, then it is likely that the whole house might end up looking ugly and irrelevant, which is what we don’t want our dream houses to be! So, we must choose the architectural designs for the exteriors of the house very wisely. No matter how small or large the area of the house is, the planning and the execution of the external designing must not be compromised at any cost. When the outer designing is done in a planned manner by the architectural experts in the business, it is almost guaranteed that the next steps towards making the house “dreamy’ will be executed easily and smoothly. Before jumping on to finalizing the architectural plans of the house, one must ensure that the survey of the area is done well by the experts so that they can make the designs accordingly to the surroundings and related area. The house design and planning is only the first step towards making the home “dreamy’ but executing it entirely according to the plan is indeed a tough job. The architects and the workers who converse their ideas into reality really need to look out for all the possibilities that they can use while building the exteriors so that it does not give a pain to the homeowners later on. Like the loft conversions, the space planning, the house extensions, the driveway designing, the garage setup, etc. When all these factors are well taken care of while building a house initially, the chances of facing issues at a later stage is minimized by a greater extent. The home designers must plan and execute these things keeping in mind the needs and requirements of the homeowners as well, to avoid any detailing further. A well-managed interior designing of the house is something we all dream of when it comes to decorating our house. While some people believe that stuffing the house with too much of decorating materials and furnaces is something which can turn their home into a “dream house”, it is not always the same in case of every house designing. In fact, these days “simple is the new cool” and as long as you keep the interior designing simple, you are likely to gain more attention from the onlookers (if at all you want it!) Moreover, going for vibrant and rich colours combined with superior lightings to don the interiors well is a nice idea to make the home décor look ravishing. Apart from it, the contemporary design ideas, the 3D visualization techniques, the urban designing of the interior also play an impactful role in making the house look better visually. The Architectural Designers keep up with the requirements and needs of both the homeowners and the area of the house to execute the design completely. So, it’s a very important aspect that you hire the best architects for designing your dream home and thereby executing it the way you want. It is no less a job to convert a land into the house of your dreams and so, when you take steps towards it, take it wisely; and the most significant step is to choose the right architect for the purpose! And hence, as specialists in architectural design & planning services, we always try to ensure our customers get the best possible assistance from our experienced team of professionals.